Change happens when people come together to demand it. If governments create laws to stop us doing this – we all pay the price. Without trade unions, there would be no workers’ rights; without organized campaigning, torture and the death penalty would remain prevalent; and without feminist, LGBTI, migrant, and Indigenous rights groups, countless people would continue to be systematically oppressed. But an alarming global trend is growing to stop us working together for change. Government leaders across the world are attacking non-governmental organizations (NGOs) and creating laws to prevent human rights activists from doing life-saving work. In October 2018, the Indian authorities raided both Amnesty India and Greenpeace India’s offices – and froze their bank accounts. And this is just the tip of the ice berg. Many other organisations and individuals are being targeted using the repressive Foreign Contribution (Regulation) Act. Last year, ten prominent human rights activists were arrested under a draconian security law. These actions are politically motivated – and a sign that the government is afraid of being exposed. 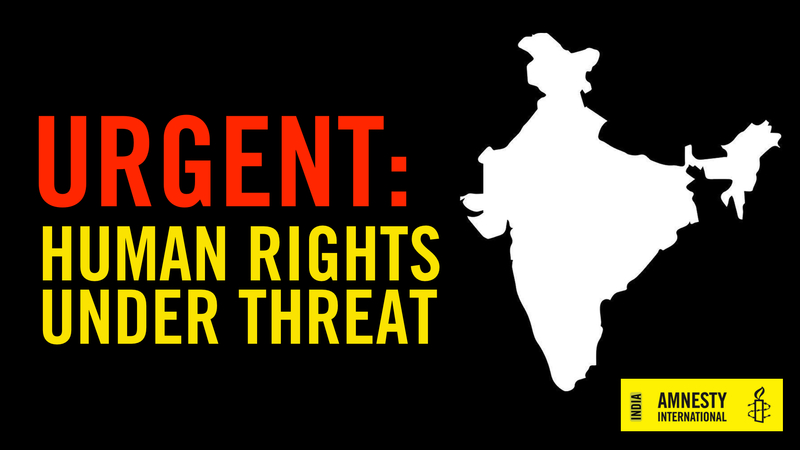 Sign the petition and tell the Indian Prime Minister to stop attacking activists and organisations including Amnesty India and Greenpeace India.